TCH 80 Heavenly Worship – Joe McClane | Catholic: Author, Speaker, Evangelist & More! I pick up a conversation I started back on episode 58 about the “One Church” and how you can know/see it. Today we focus on the “worship” before the alter of God and draw heavily on the “Lamb’s Supper” by Dr. Scott Hahn. To download the narrated letters of St. Ignatius go to the “Ignatius Audio Series” link below. 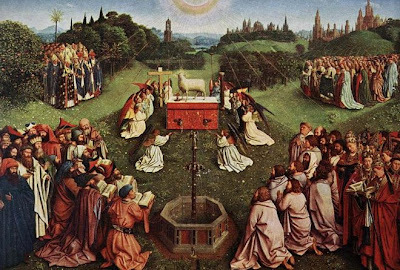 Sacrifice of the Mass going all the way back in time! Check out my Flock Notes!